The blog for Beau Beau and Angie was born on February 19, 2006. It all started with a blog post that I had replied to somewhere about feeding cats tuna fish. Next thing I know I was creating a blog so that I could reply to the tuna fish guy. I didn't give it much thought about naming it, therefore the non cat specific url is swicks.blogspot.com. 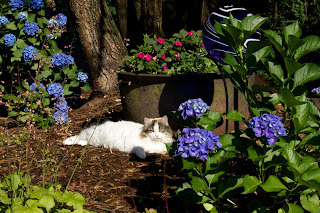 Cathy (who sadly is no longer with us) from Beau’s bloggie found my blog and sent a link introducing us to some of the few cat bloggers there were at that time. Once that happened I decided to stick with the url and name of Beau Beau and Angie's Fur Days and we were off and on a roll. As I was looking back at those early days of the blog and my life with Beau Beau and Angie, I thought “wow, how did I make it through those years of my life”? Then I realized that I made it through those years with my sanity because of them. I was transitioning into a new life from a divorce in late 2002 and a new relationship with my boyfriend and his 14 year-old daughter. I moved in with them and almost 3 years later along came Beau Beau and Angie just when we all needed them the most. 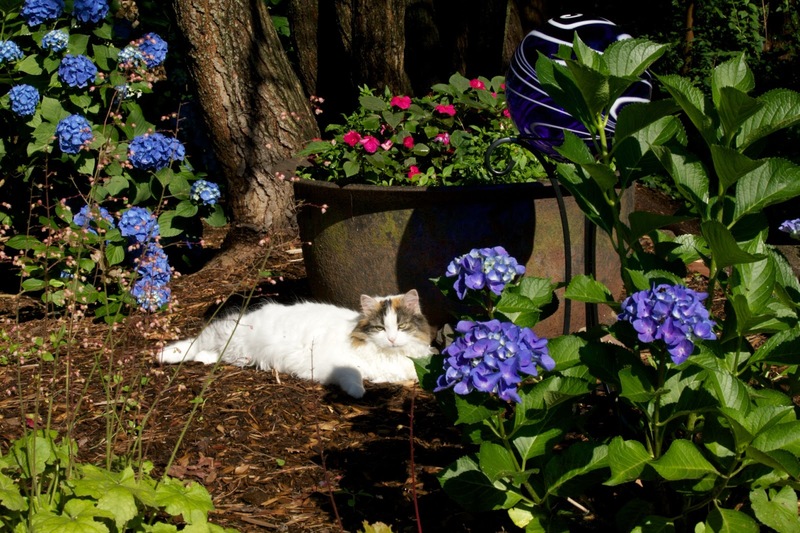 The furkids brought liveliness, energy, joy, love, fun, enjoyment, distraction from our problems, learning, growth, care giving, and immense entertainment to our everyday lives. We worried about their health and well being a lot. We loved them intensely. We taught them about the big outdoors. We gradually brought them outside so they could enjoy the weather and have some fun. There are plenty of stories there! During this time we got married. My stepdaughter went to college. We moved to another house. Although it was only a mile away it was probably the most terrifying day of Beau Beau and Angie’s life (not to say our own with worry about them). We moved out and moved into our new home in one day while they went to stay with our family for the day. They lived with us in our house until they both passed, Beau Beau in December 2014 and Angie at the end of October this year. All of their lives with us are here in these pages. Memories of them are so close it’s like they are still here except for the stillness of the house without their presence. 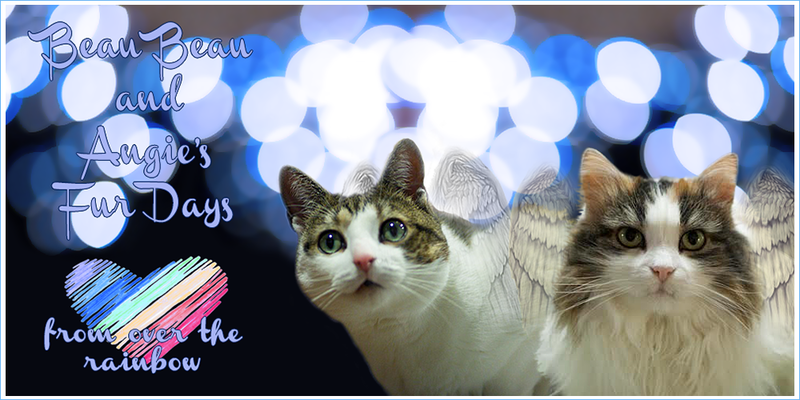 They are now our Angel cats and their memories will live on for some time within these pages. 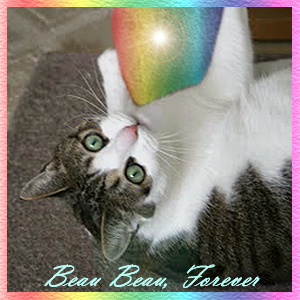 The blog went from Beau Beau and Angie’s fur days, to All About Angie after Beau Beau passed and now back again. Many thanks to the beautiful job done by Ann from Zoolatry for the new header for the holidays! Starting after the holidays my husband and I are going to be searching for a couple of cats to fill our home with love again. As before we know that it will be them that will find us actually. We are thinking that Beau Beau and Angie will be guiding the process somehow. The new ones will have big paws to fill for sure! So stay tuned for the search, the adventures and the stories of our future furkids. I'm really missing my beautiful Angie. I was looking back at the blog, thinking back to the days when we first got Beau Beau and Angie. I'm getting ready to create a book from the blog. This picture is from a post back in 2006 shortly after I first started blogging about them. 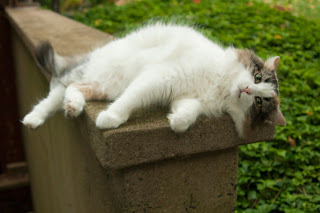 We are sure that when it's the right time, we will know to find some other loving felines to fill our lives once again. I went to a fund raiser for the Meriden Humane Society (where we found Beau Beau and Angie in 2005). The speaker was s a local psychic medium. I had never been to see one before but have always been interested in life after death so I thought it would be interesting to say the least. I had signed up for this before Angie passed away. So before I went I thought hmmmm, wouldn't it be great if Angie came through? Since she had been gone only a few days I felt she would be right there close to me. Everyone says your loved ones are always around you always, right? On the spiritual level, I realize that animals do not have the same energy as humans. So it would have been a reach for her to come through especially since the room was filled with 100+ people which meant 100+ people and all of their spirits that come with them. I found out it's a lot for a medium to handle. It was a very interesting event, with many people hearing their loved ones come through. And yes, finally, I heard Vanessa say, "Angela, Angie?" I didn't quite believe she said "Angie". So I didn't say anything. Vanessa made her way around the room until she was in front of me and was talking to someone else. Then she looked at me and said "is there someone you want to hear from?" I said no, then I said well, yes, my cat Angie. She and a couple other people said " she said Angie before". It was such a weird feeling to know that she really might have gotten through. So when she said did she have a really big tail - I said yes - while thinking skeptically, that's a 50/50 call... Angie did have a really big tail though as can be seen by the many pictures in this blog. 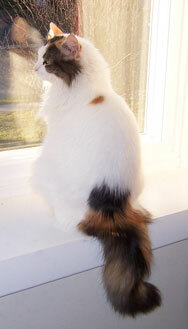 The picture above is a perfect example of how furry her tail really was. As she got older it was less full but I was thinking when people come through the medium they usually show up as a much younger and happier version of themselves as well. When I saw the older pictures of Angie I made the connection that she too had come through as a younger healthier version of herself. Then Vanessa said "I see the number 8". She was wondering if it was perhaps Angie's age, or to do with another cat. Later that night as I was thinking about it, maybe it wasn't "8" but "ate". I was doing all I could to get Angie to eat that last week of her life. Was she saying she finally "ate"? I only hope it was something as simple and loving as that. Or it could be as someone had suggested, the number 8 as the infinity symbol which is heart warming to think of as well. One can only guess. I'm just happy to feel that she really might have been there reaching out to me and that she is really here whenever I need to reach out to her or need her love. 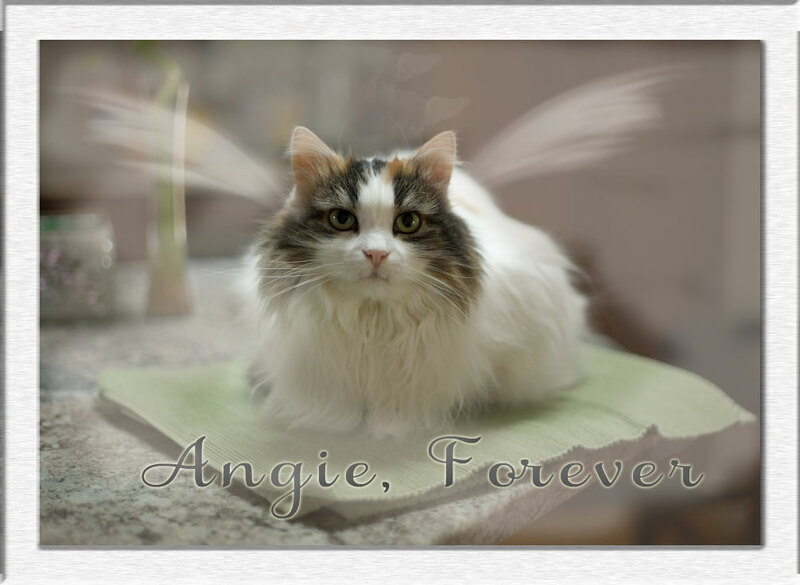 Angie has left our world. 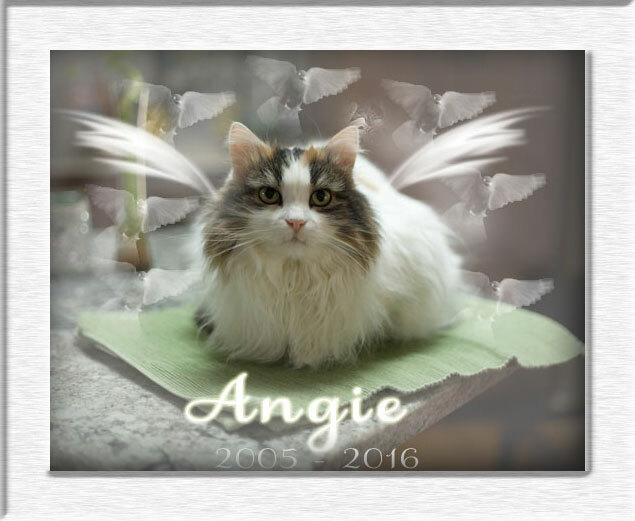 On 27-Oct-2016, She went to join all the other feline souls that have been the love of so many of all of us. Sixteen short years of her life were spent here. I've posted this story before but Angie came to me in a dream eleven years ago. I then became obsessed with finding a white cat. My husband and I searched for her and we found Beau Beau first. Two months later I walked into the Meriden Animal Shelter and stood quietly in the middle of the room. I felt her paws on my legs first. I looked down and there was my white dream cat, stretching up to get me to pick her up. She clung to my neck and I knew I had found her. I promised her she had found her forever home. 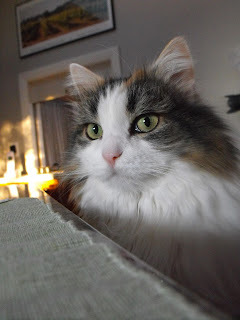 She has been the light of my life and my husband's ever since then. Her story has been written here in the pages of this blog. Many posts in the beginning have led way to fewer posts over the years. 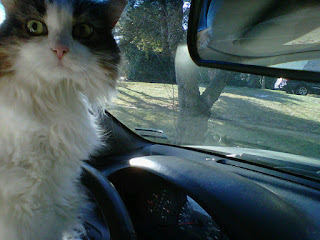 It seems as though as she slowed down in her old age so did my posts. The one thing that stands out the most about her is how much she loved the outside. With her quiet and mellow demeanor she always stayed very close to the house and just paid attention to the birds and anything else that moved close to her. Her routine was that my husband would get up at 5 and feed her and then she would go to the door to try to get him to let her outside. 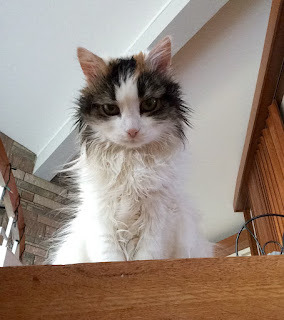 We let her out as often as we could depending on the weather mostly. She did have a curfew at dark though. 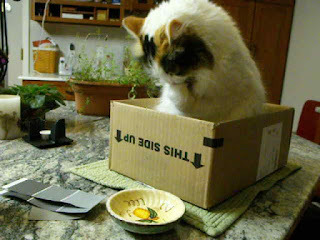 And as most cats that go outside she was in and out more times than we could count. 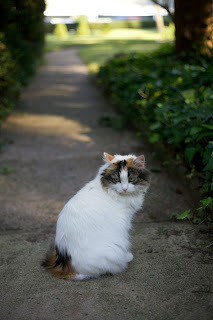 Even as her age and illness advanced it didn't slow her down from enjoying the outdoors, right up to yesterday, the day we had to let her go. 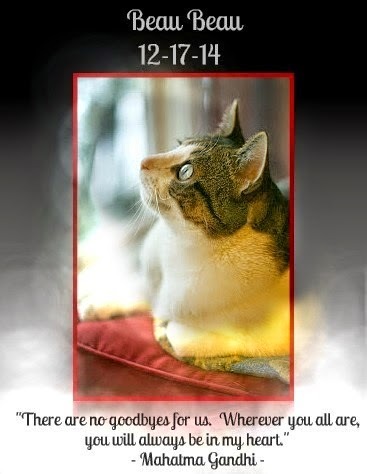 We will never forget her soft fur, her quiet purr, her calming manner. We will always remember her sleeping between our pillows, her quiet snore, her warm body against ours. Although she was the smaller than Beau Beau, she ruled the house when he was alive. 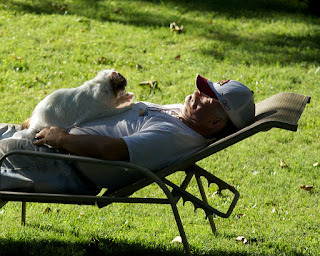 When he passed two years ago she slept in on a rug near the front door for a month or more. Maybe she was waiting for him to come home. Maybe she has found him again. Rest in Peace our little Angel. I know you are right here when we need you, just a thought, just a memory away, and always in our hearts. 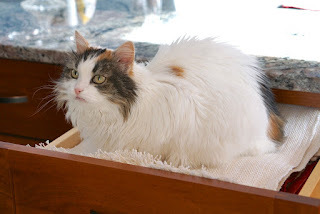 Here are some of our favorite pictures of her. Is this how you get the flowers to grow? 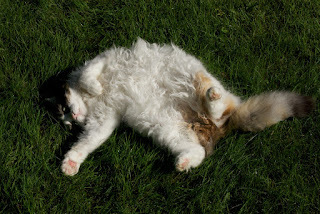 I'm also keeping a eye on my cat nip patch. Happy Spring Sunday! It's my worst Sunday Selfie and I'm not letting somebuddy past me on the stairs. I am having a furry bad fur day today. Can you tell? Do I look scary enuf? Do you see what my Mommie has done to me? This scraggly looking fur is cuz she put coconut oil in my ears and it got all over my furs! Yes, every couple of weeks I get some wax coming out in my ears and it makes me scratch them. Coconut oil is supposed to be good for everything and it does feel good going in and makes it easy to clean my ears. This wax problem has been going on ever since I was little. I have been to the v.e.t. many times over the years to just make sure it wasn't anything other than wax. And nope - all's well, no buggies. Mommie says I'm just like my human Daddy. How come she doesn't put coconut oil in his ears? MOL! 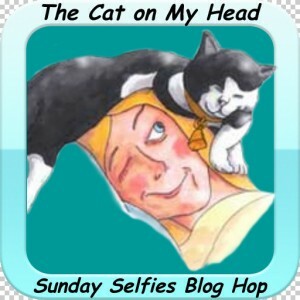 Come see all the other selfies on The Cat on My Head's Sunday Selfies. Who is smarter than me? 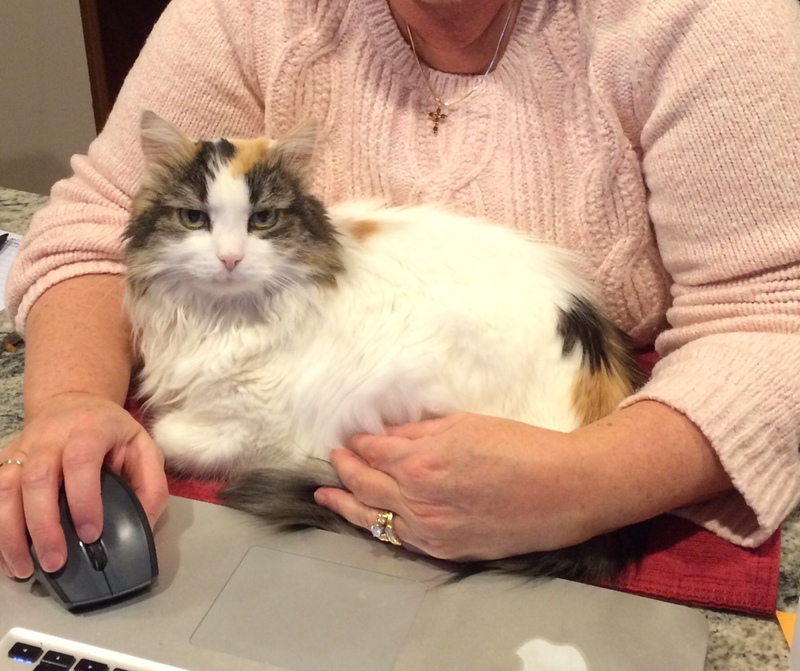 I have a bloggie and I get my mommie to do all the work! Sunday brunch is Mommies favorite meal. And she loves to share! Grass fed butter is one of my favorite foods so I am all over these eggies! On the days that mommie gets to work from home I also help her finish her eggies. This way I get some extra protein and it helps me get the vitamins and minerals I need. And these eggies come from the farm down the street so they are cage free eggs - even better. It looks like a lot here but I usually only eat a tablespoon worth. Yummy!